Located at the very top of South America and named after its discoverer, Christopher Columbus, Colombia possesses a great deal of enticing features to make any potential expat pack up their stuff and move right away. Our comprehensive Colombia guide provides all the information an expat could need, from visas & permits to health insurance and housing rentals. The official language of Colombia is Spanish, but there are over 68 ethnic languages and dialects and English is the official language in the San Andrés and Providencia Islands. However, English is not widely spoken there. Expats wanting to improve their language skills can advertise and find language classes and exchanges on our Colombia expat community. 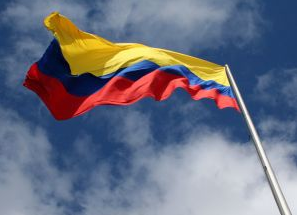 Economically speaking, Colombia is a middle power, and is the third largest economy in South America. The most representative sectors of Colombia’s economy are the production of coffee, flowers, emeralds, textiles, industrial chemicals, plastics, ferro-alloys, coal, oil and financial services. The guide’s Jobs section provides detailed information about the job market in Colombia and suggests how to go about finding work. For those drawn in by historical hotspots, Colombia’s history and cultural heritage is about as rich as they get. From the very off, the nation has been a melting pot of ethnic and cultural diversity. Originally inhabited by indigenous peoples, such as the ‘Muisca’ and ‘Quimbaya’, Colombia was then conquered and colonized by the Spanish, who ruled over them for over 300 years, shaping the nation considerably. When it finally became a completely independent nation in 1886, Colombia’s was the first constitutional government in South America. Its varied cultural heritage has been brought about by the co-existence of descendants of original native inhabitants, Spanish colonists, descendants of African slaves, and European and Middle-Eastern immigrants. The incredible diversity is supplemented by a varied geography: Colombia encompasses the highlands of the Andes Mountains, the Amazon rainforest, tropical grassland and both Caribbean and Pacific coastlines. Lastly, it is true that in the second half of the 20th century Colombia was subject to ongoing armed conflict between government forces, left-wing insurgents and right-wing parliamentaries, but now an on-going peace process is ensuring a decrease in violence. Certain areas are still considered high risk, but Colombia is now heading towards achieving a more peaceful environment and has a great deal of promise for the future. Previous story Australia named the ‘happiest’ country – but what is happiness?